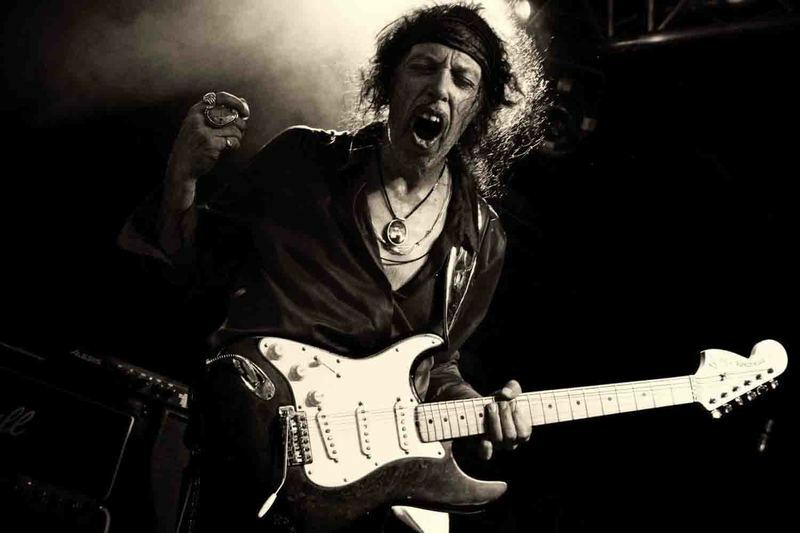 Born December 8, 1954 in Seattle, Washington Randy is a U.S. guitarist, best known for his emulation of Jimi Hendrix. He clearly has a bit of physical resemblance to Hendrix in his facial features, and carries that resemblance further by emulating such signatures of Hendrix's style as playing a guitar with his teeth or behind his back. His music appeared in the 1979 film Apocalypse Now, and his debut album was released in 1980 on Capitol Records.Hansen's high energy guitar work has earned praise from fellow Dutch-American, legendary guitarist, Eddie Van Halen (in Guitar Player magazine), among others. He also was a good friend of the late Stevie Ray Vaughan (writing a song about him called "Texas Twister" from his Old Dogs New Tricks CD). He has toured and played with literally hundreds of famous musicians and groups.Hansen's Hendrix act first came to prominence with Randy Hansen's Machine Gun (1977–80), with Larry Epperly on bass guitar and Tim Kelliher on drums (Kelliher later did sessions for guitarist Daniel Jones in his band 7th Order, whose session personnel also included British guitarist Martin Pugh and veteran American rock guitarist Geoff Thorpe). All three had previously been in a band called Kid Chrysler and the Cruisers.Hansen's Machine Gun performed on bills with Heart, The Kinks, Stevie Ray Vaughan, and others, and were written up by Rolling Stone and Guitar Player. There are now videos out with Buddy Miles covering Hendrix tunes such as "All Along the Watchtower", with incredible playing by Hansen from 1997.After his debut album, his emphasis continued to be on original releases emulating the Jimi Hendrix style of composition, in addition to including large numbers of Hendrix compositions in his live shows. He had a brief stint in the 1980s with a band that played a more contemporary style but, failing to gain a record contract of note, quickly returned to his main source of success as a Hendrix imitator. One of the high points of Hansen's career was when he played a short series of concerts with a band that included the original Jimi Hendrix Experience drummer, Mitch Mitchell. In the 1990s and into the 2000s, Hansen has increasingly turned to Europe for his live show tour dates due to greater interest from that market. He headlined a July 26, 2008 bill in Mannheim, Germany, with Love Street (Doors tribute) and Buried Alive Band (Janis Joplin tribute) as openers . 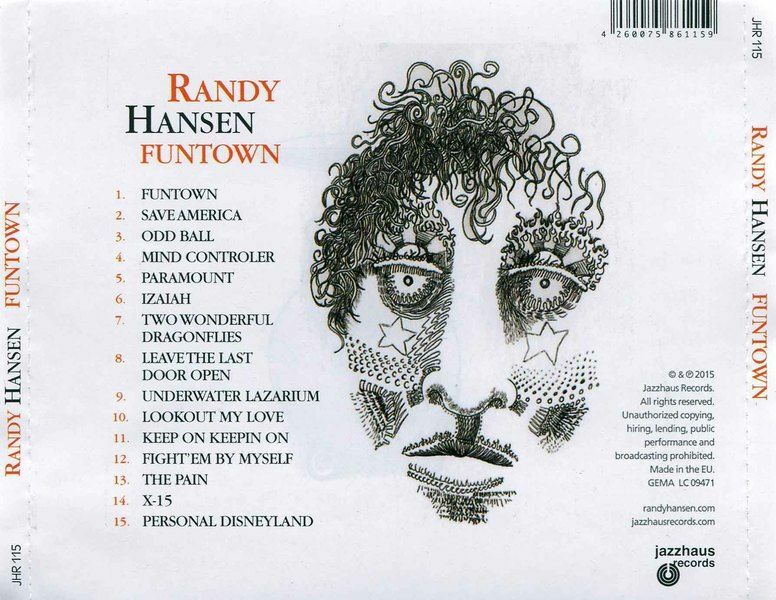 He continues also to play locally in Seattle and around the U.S Hansen has three self-released CDs of original music in print, none of them well-distributed but all available online: Old Dogs New Tricks, Good Intentions and Tower of Love. 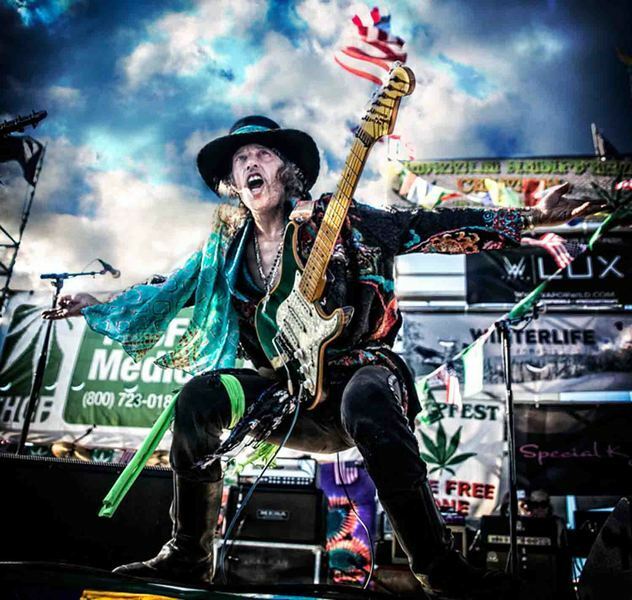 He continues to live in Seattle.There are some excellent on-line videos of Hansen and Uli Roth doing some Hendrix tunes showing great talent by both artists. 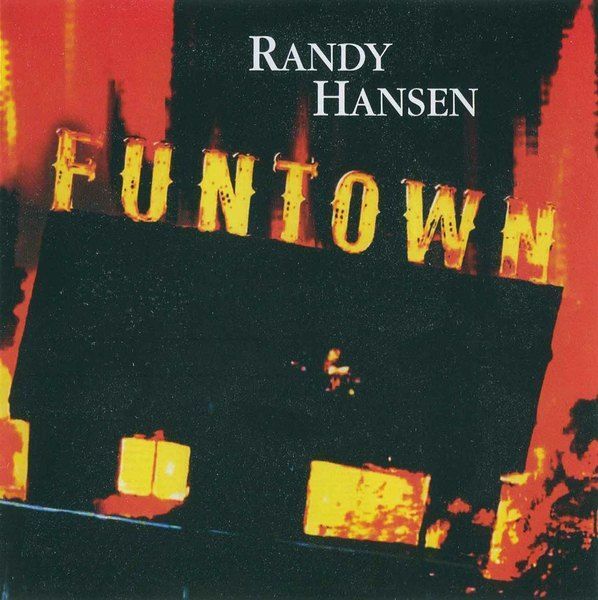 Funtown, Randy Hansen s first studio album release in over 11 years, surprises with spherical sounds à la Pink Floyd and Frank Zappa, as well as innovative sounds à la Jimi Hendrix.While Randy Hansen comes from Seattle, but with grunge absolutely nothing to do. Rather, the guitarist makes visually and musically a to Jimi Hendrix. 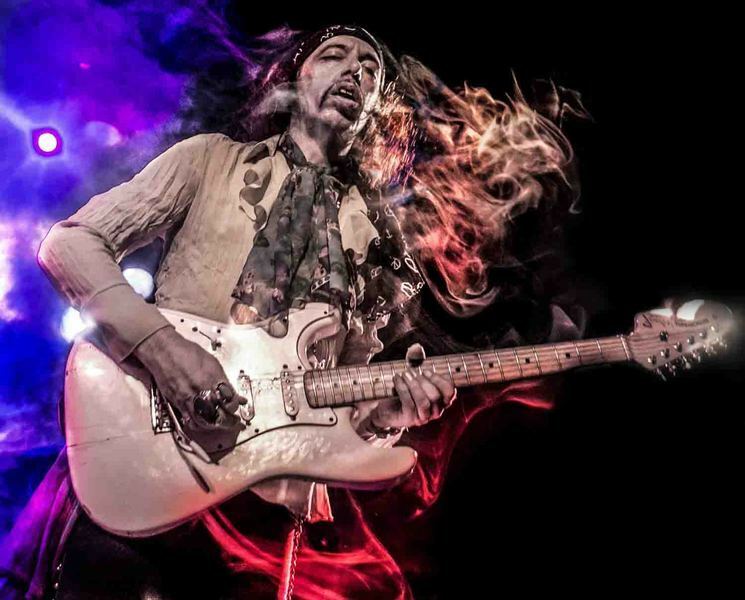 So he travels almost constantly around the globe in order to complete his Hendrix tribute shows great success. But he has already published over the years some of my own CDs, the last "Good Intensions" but has already whopping eleven years in the hump. Now there's "Funtown" So to get hold of his total fourth solo album, on the klampfende singer presents itself amazingly versatile. But not only that, he played on the album all the instruments a. Except for "The Pain", there sits his son Desmond behind the shooting. Like the nearly nine-minute opener, the title track, offers of Blues Rock on celestial sounds à la Pink Floyd an enormous spectrum. The name is then actually program! The slightly funky "Save America" ​​then remembered the first time his idol, but the calm instrumental "Odd Ball" brings a bit smoothing in the waves. The ride goes to the somewhat gruff "Mind Controller" and performs the listener also some rocky hills in the form of experimental sounds as Frank Zappa so well mastered ( "Two Wonderful Dragonflies" or O.A. "The Pain"). Because listening is a bit exhausting to be honest for me. The country ballad "Underwater Lazarium" is indeed really nice, but then wants to but ultimately not quite fit for this artist. Also "Keep On Keepin` On" kicks in this acoustic, quiet notch and shows that Randy Hansen should themselves have a broad taste. As if to prove it he calls the conclusion song appropriately titled "Personal Disneyland" which aptly describes the whole plate with the title. A smorgasbord of different sounds, which responds to open in many directions handset.